One of the nicest men in the recruiting industry announced his retirement effective December 1st. Don Hunter joined Continental Search as a contractor in the fall of 2010. He is the sole proprietor of DHS Recruiting, as well. Before joining the Continental Search family, he was the principal for Bay Resource Group Executive Search from 1995 to 2010. He retired for three months from Bay Resources when Dan Simmons, Owner of Continental Search, called him and asked him to join his team. Dan and Don had partnered on several projects over the years. Don and Dan jointly developed The Animal Science Monitor in 2004, a newsletter on careers and opportunities in the animal sciences. 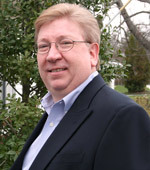 Don contributed many articles over the newsletter’s 12-year history. The Animal Science Monitor is going through an evolution. This 2017, we have decided that we want you to be our stars. Aside from showcasing the latest industry news and offering career advice, we will feature people who we consider influencers in the animal science industry. Each month we will interview influential individuals in industry and academia. We also plan to showcase these interviews with the latest industry news in our Animal Science Monitor LinkedIn group. We would love to learn more about the industry in which we recruit. Feel free to interact with the comments section of the conversations we start. We would appreciate your opinions because we believe that knowledge should be shared.